The latest device to come from OnePlus is the new OnePlus 6, heralded as ‘their greatest smartphone’. OP smash in some high profile specifications, such as a 6.28-inch 2280x1080 AMOLED display in a 19:9 aspect ratio, a Qualcomm Snapdragon 845 SoC, a dual camera solution featuring a Sony IMX519 sensor for a full minute of 480 FPS slo-mo video, and OP’s first all-glass Corning Gorilla Glass 5 design. In our pre-briefing, our OP rep was extremely enthusiastic about the new model, citing the OP user base as inspiration for many of the new design features, as well as a continual feedback mechanism on design choices. The OP audience, or ‘descerning user’ as was described, require more screen and high performance, along with lasting battery. These come across as pretty obvious goals for any smartphone design, however we were told that OP users want what is best. This means that the Snapdragon 845 was the obvious choice, as well as the dual camera, a vibrant screen, and multiple features. 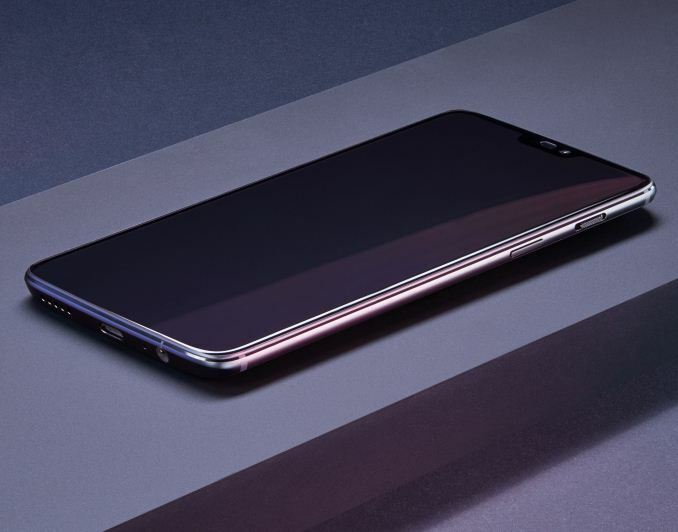 The display, a 6.28-inch 2280x1080 AMOLED display at 19:9, uses a notch and places a rectangular fingerprint sensor on the rear just under the camera to maximize the screen-to-body ratio. 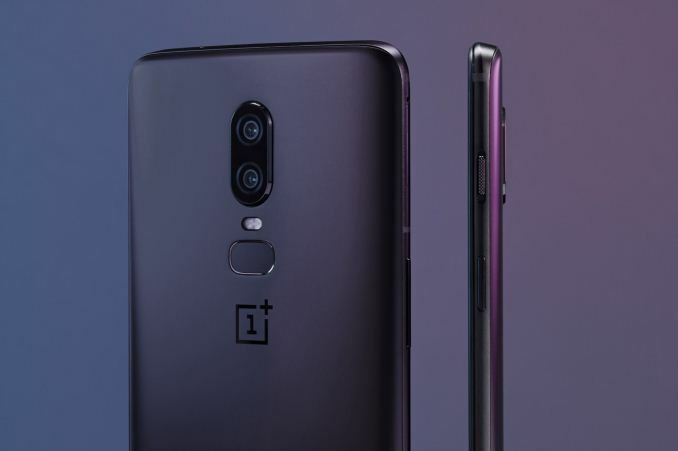 OnePlus goes in with both feet into enabling a notch design, much to the chagrin of a particular group of users, however the company has implemented a ‘notch-black’ option in the settings to black out the top bar and replace with icons. It was noted that some alternative notch options on the market go for a different arrangement of camera and speaker implementations, but because of the size of OP they played it relatively safe with a standard speaker grille and front-facing camera in the usual position. Citing the Snapdragon 845, we confirmed that OP is using the SoC in its default configuration, however OP stated in our briefing that they have applied tweaks and techniques to improve the lag and responsiveness of the device over sustained periods of time (exactly how was not disclosed, although OP did affirm that they will not be special ‘benchmark’ modes on devices). OnePlus cited a +30% performance boost for the OP6 over the OP5T, combined with using 30% less power at the same time. This pairs with the 3300 mAh battery, as used on the OP5 and OP5T, with Dash Charge for faster charging. On the camera side, the rear uses a dual camera setup for adaptive bokeh effects. 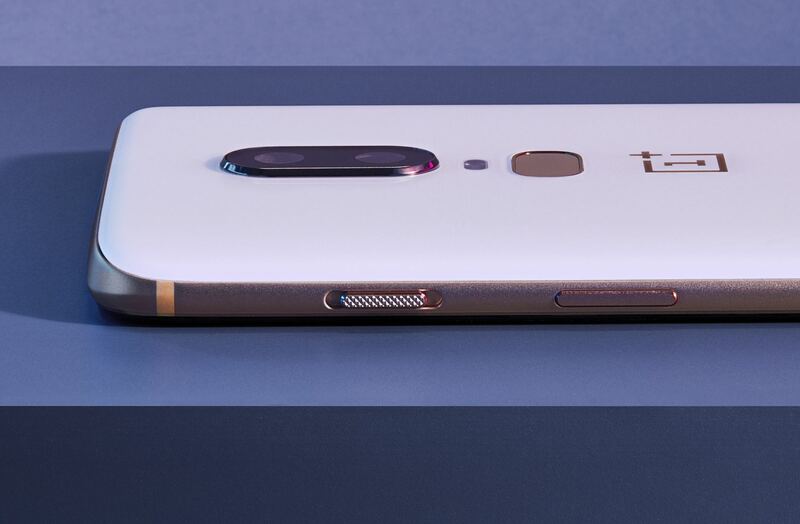 Compared to the dual cameras in the top corner on the OP5T, the new phone will place the two cameras in the middle with one above the other, like many other flagship devices. The main rear camera is a 16MP Sony IMX519 with OIS and an f/1.7 aperture, suitable for taking up to one minute of 720p480 video due to the embedded sensor memory. This is different to the 960 FPS modes of other flagship devices (Sony, Samsung, Huawei) as it only runs at half frame rate but lengthens the recording time substantially. Due to the fewer bits per second running through the sensor, the data can be pushed to memory or storage fast enough to allow for the extended recording. This mode is a specific mode, allowing for the one minute of recording and post-processing. OnePlus notes that this 16MP sensor is 19% larger than the sensor on the OP5T. The second rear sensor is also a Sony sensor, but at 20 MP also with an f/1.7 aperture, but without OIS. The front camera is a 16 MP Sony camera, which uses Qualcomm’s integrated AI functionality to enable a portrait mode for selfies. OnePlus is not giving the OP6 an official IP water resistance rating, but is going to promote the fact that they have done additional waterproofing to the device. In our briefing, we were spun an odd tale of how IP ratings are not that important to most users, and how it was better from a brand perspective to reinforce good water safety techniques when using their smartphones. The way in which the waterproofing was presented juxtaposed the nature of OP having technical savvy users and dismissing the technical verification an IP rating would provide. For storage and memory, OnePlus is segregating the options depending on the color of the model. There will be two initial launch colors, Mirror Black and Midnight Black, with a third limited edition Silk White color coming at a later date. The Mirror Black will be available in 6GB+64GB and 8GB+128GB versions, the Midnight Black will be available in 8GB+128GB and 8GB+256GB versions, and the Silk White will only be available in 8GB+128GB. In our briefing, OP did not comment on the type of memory (likely LPDDR4X), the memory frequency, or the storage type (eMMC or UFS) as the information was not to hand. OP did not confirm how many SIM cards the devices will take but did state that there is no expanded storage option. On the three colors, as the phones are now glass back and front, the color is bonded to the underside of the glass. The Mirror Black is the reflective model, easily showing fingerprints, while the Midnight Black we were told use a thin black film with thousands of imperceivable small holes to elicit a polished metallic look. It is a little disconcerting to ‘see’ the metal look, but when touching it the feel is clearly glass. The final Silk White color is going to be a definite favorite: we were told that OnePlus uses a thin layer of crushed pearl to create the look, and it makes for a brilliant white – the glass surface is also super smooth to the touch. The goal is apparently to give it a ceramic look but still with the benefits of an all-glass design. Now that the design is all-glass, we did question OP about wireless charging. We were presented with a similar diatribe to that of other companies about why the phone does not have it: it isn’t as quick as the fast charging method, it requires extra accessories to function, homes/environments are more built to cables than to wireless charging, and it adds to the cost of the device. I feel these arguments are fairly weak, given that wireless charging is not an alternative to wired charging, it is an addition to it – it gives a device extra points for ease of use, and minimal extra cost. The fact that it isn’t as fast as a fast charging method is neither here nor there – wireless charging pads are obviously not the choice for fast charging but allow users to charge phones at desks without dealing with wires. I’m at the stage in my smartphone life where wireless charging is now a feature I want in a device, and I will buy the accessories to do so if I do not have them already. We were told that OP is still open to the idea, if and when the infrastructure for wireless charging is more widespread or it becomes a major customer demand. When asked what percentage of users correlates to such a customer demand, it was said that many factors go into such a decision and a simple number doesn’t do the decision making justice. 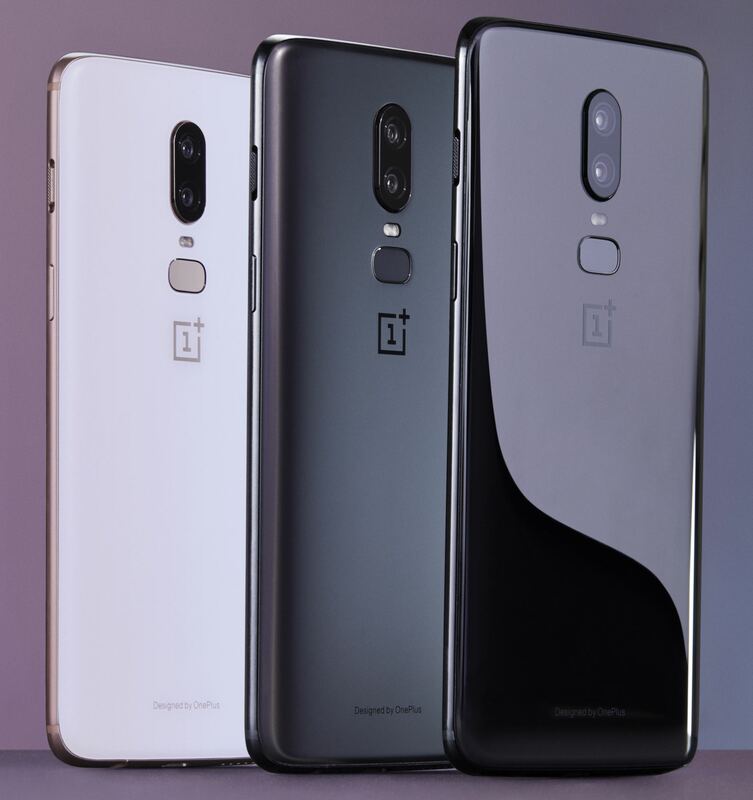 Additional features on the OnePlus 6 include a staged slider button, similar to the OP5T, but this time on the right-hand side of the phone rather than the left. This offers three easy volume options: silent, alert, or normal, and can be used with the volume rocker. Along with the position change, the OP6 uses a different notification style for this staged slider, making it less intrusive. The slider is also textured differently to the other buttons on the device to make it more distinctive when fumbling in a pocket to silence the phone. Software wise, we were told that the OP6 has adjusted the way it loads games such that it can use the GPU to improve loading times. Unfortunately, our rep had no further details on this, although I would assume they meant that the OS was loading pre-compiled shaders, rather than using the GPU to issue kernel calls for loading data out of storage. There is also a data prioritization tool that will adjust the network stack processing of the device and fast-track the data packets from any white-listed application: this is mainly focused on games, and each application will have to be manually added for this feature to work. The idea here is that while games do not require immense bandwidth, forcing the packets through the device faster could assist with latency. The OP6 also comes with a gaming battery saver mode that decreases the screen resolution and detail in order to extend the battery. Modem Snapdragon X20 LTE Snapdragon X16 LTE? 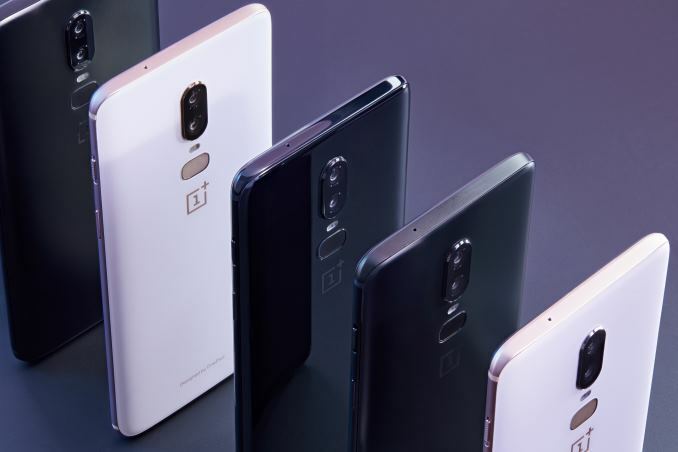 Nothing about the device immediately makes it unique compared to some other 2018 high-end smartphones, however, OnePlus has historically been competitive on price, so we expect that to be the major factor here. Ian, you already questioned some of the "design features". What would happen if you actually got that spec-list and start asking too much technical questions? Especially those technical details that felt weird and strange. I can imagine some exec running out the room crying for mommy when you'd ask too much about a certain "gaming mode". "...actually meaningful to me instead of the junk they focus on..."